2011 Nobel laureate Bruce Beutler will deliver the Breinin lecture on "Forward genetic analysis of immunity." 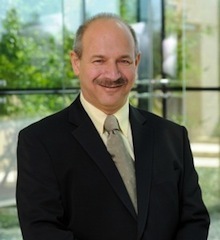 Bruce Beutler, winner of the 2011 Nobel Prize in Physiology or Medicine, will deliver the annual Goodwin and Rose Helen Breinin Lecture in Basic Sciences at Emory University. The lecture, entitled “Forward genetic analysis of immunity,” will take place Tuesday, Jan. 8, 2013 at 4 p.m. in the Woodruff Health Sciences Center Building Auditorium, 1440 Clifton Rd., NE, Atlanta, GA 30322. Sponsored by the Department of Microbiology & Immunology at Emory University School of Medicine, the lecture is free and open to the public. A reception will follow the lecture in the School of Medicine Building Commons. Beutler won the Nobel Prize for his discovery of an important family of receptors that allow mammals to sense infections when they occur, triggering a powerful inflammatory response. He is Regental Professor and Director, Center for Genetics of Host Defense, University of Texas Southwestern Medical Center, and he holds the Raymond and Ellen Willie Distinguished Chair in Cancer Research. Beutler received his undergraduate degree from the University of California at San Diego in 1976 and his MD degree from the University of Chicago in 1981. After two years of residency at the University of Texas Southwestern Medical Center, he became a postdoctoral fellow and then an assistant professor at the Rockefeller University (1983-1986), where he isolated mouse tumor necrosis factor (TNF), and was the first to recognize TNF as a key executor of the inflammatory response. Returning to Dallas in 1986 as a Howard Hughes Medical Institute investigator, he designed recombinant inhibitors of TNF that are widely used in the treatment of rheumatoid arthritis and other inflammatory diseases. After moving to the Scripps Research Institute in 2000, Beutler developed the largest mouse mutagenesis program in the world and continued to make groundbreaking discoveries in immunology. He has authored or co-authored more than 300 papers, which have been cited more than 46,000 times. Before he received the Nobel Prize, his work was recognized by the Shaw Prize (2011), the Albany Medical Center Prize in Medicine and Biomedical Research (2009), election to the National Academy of Sciences and Institute of Medicine (2008), the Frederik B. Bang Award (2008), the Balzan Prize (2007), the Gran Prix Charles-Leopold-Mayer (2006), the William B. Coley Award (2005), the Robert-Koch-Prize (2004), and other honors.